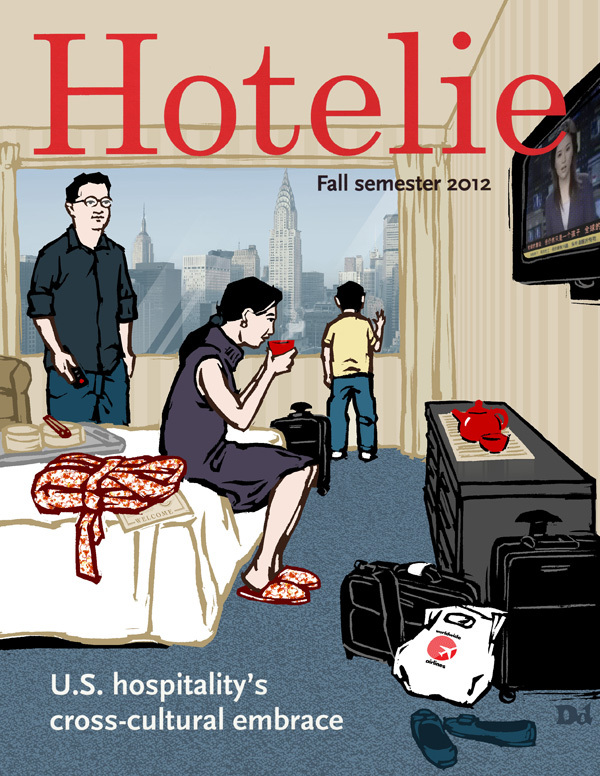 I did my first magazine cover last fall, for this hotel trade magazine (which just went to press). It was a nice change to work in color instead of black and white, but it can be intimidating – there are almost twenty different colors out there that you can work with, I bet. back me up on this, illustrators! It was also refreshing in that I had to show something besides an obvious sight gag. So, no talking elephants at bars. The image had to match the tone of the article, which was a fairly straightforward piece about what American hotel chains are doing to appeal to foreign travelers. A snapshot of the working process is below. 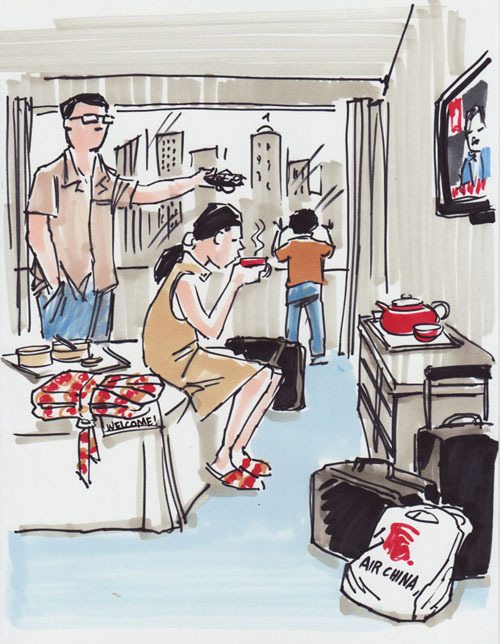 At first I drew a single business traveler, then we decided upon a family instead. 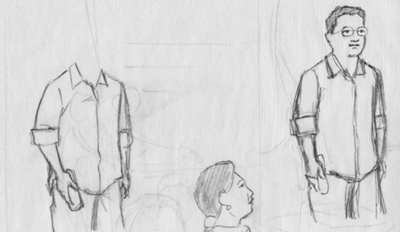 Also, my gestures (like the man with the remote) were initially a bit too overstated. 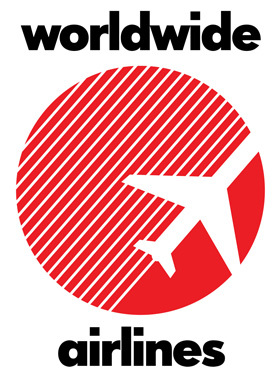 And after dropping in the logo of a specific airline on the shopping bag, we decided it would be better to show a fictional airline, whose logo I had to create. 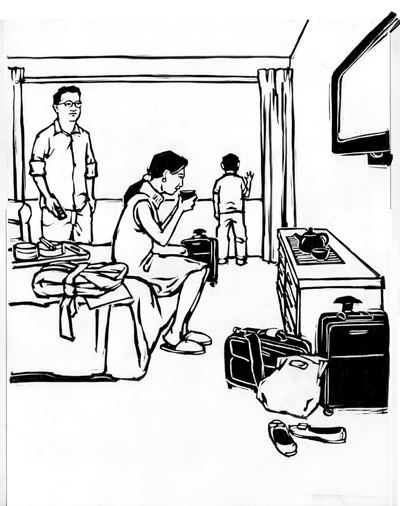 My friend commented that it reminded her of Adrian Tomine, which I was pretty happy about. It all worked out in the end, don’t you think? Brilliant! 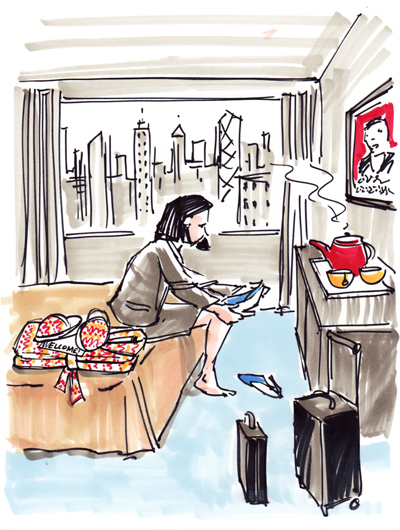 The tea, the boy looking at the city, the dad watching Chinese TV (while in NYC), the slippers, the robe, the airline bag. Wow.